We live in a technological society within an inconstant world. We are at the mercy of the forces of nature. Protecting ourselves from them is difficult, even in the first world. Hurricane Katrina in Louisiana in 2005 or the tsunami at the Fukushima nuclear power plant in 2011 are very paradigmatic examples. Even beyond Earth, there are dangers that threaten our whole planet. The threat of an asteroid impact is the best known among them. However, the Sun, our star, can also be a risk for our current civilization. On 1 September 1859, the British astronomer Richard C. Carrington was drawing some sunspots when he suddenly observed an intense burst of white light emerging among them. We now call it a flare. Two days later, the most intense geomagnetic storms recorded so far took place. Northern lights were observed at latitudes as low as Colombia (Cárdenas, Sánchez, & Vargas Domínguez, 2016) and telegraph systems stopped working in Europe and North America. More than 150 years have passed since that event. We should consider ourselves lucky because, apparently, these magnetic storms only occur every 500 years. Should one occur today, the problems for satellites, the electrical grid, the Internet or maritime and aircraft navigation would be manifold and the subsequent situation on Earth would be catastrophic. Therefore, knowing how the Sun works is essential for the survival of our technological society. It is necessary to predict when and why new solar storms will appear and how they may affect us. 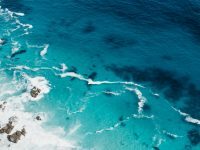 For this reason, apart from the purely scientific interest of basic science, as well as other influences on Earth, we study the Sun in detail: in the beginning from terrestrial observatories and in the last three decades also from space. These studies are carried out within the field of space weather, dedicated to the study and prediction of solar storms. Twenty years have passed since the joint mission SOHO (Solar Heliospheric Observatory) of the European and North American space agencies (ESA and NASA) started continuous analyses of our star. It has been doing so from a privileged, gravitationally stable, vantage point situated about 1.5 million kilometers away from Earth. 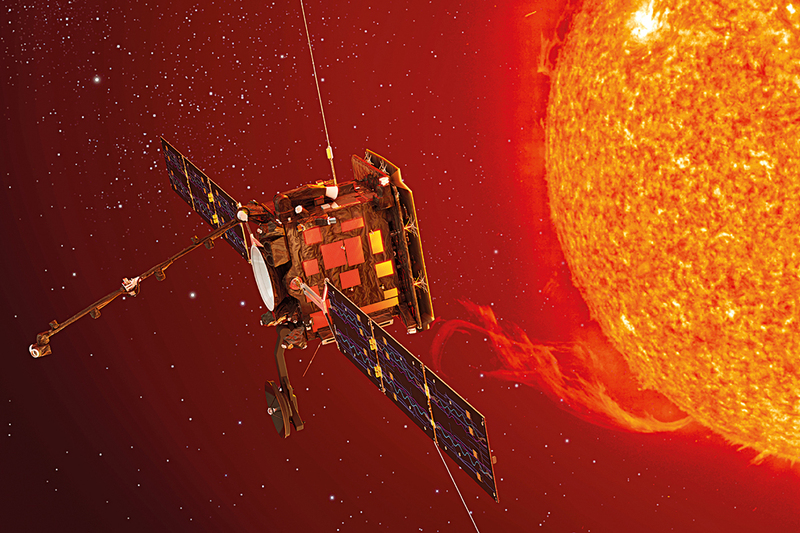 The SOHO satellite started operating in May 1996 with a nominal lifetime of two years, and it has already been functioning for over twenty years. At the moment, it is the most long-lived solar observation satellite ever. 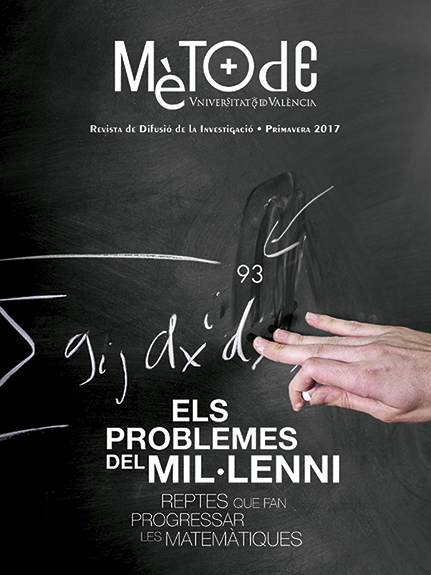 Vicent Domingo Codoñer, currently working as honorary professor at the University of Valencia, was the scientific director of SOHO for over ten years. In this time, our knowledge about the Sun has increased exponentially thanks to the data obtained by the dozen scientific instruments aboard SOHO. We now know more about its internal structure, brightness variations, magnetic activity, heating of the solar atmosphere, particle flow, and their interaction with Earth’s magnetosphere (Balwin, Fleck, & Müller, 2015). 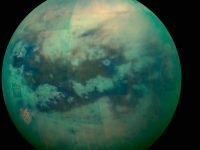 At the same time, the interest of the mission team in sharing the images and videos daily on their website, which has allowed the scientific community and the general public to use them, is remarkable. The inside of our star is much better understood now, after years of solar acoustic waves analyses, a field known as helioseismology. These continuous observations have allowed experts to determine that the (innermost) radiative zone rotates as a rigid body, unlike the external and turbulent layers of the convection zone. The friction between layers in contact generates and amplifies its magnetic field through a process called solar dynamo (Domingo & Marco, 2003). Thanks to this mission, new analysis techniques have been tested and put into practise. 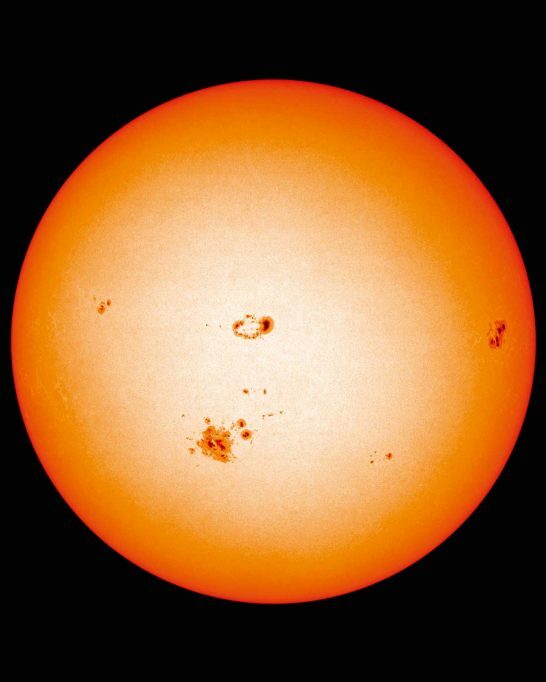 A clear example is local helioseismology, which allows us to analyse specific areas inside the Sun, such as the structure beneath the surface of a sunspot and, much more spectacularly, to obtain information from the far side of the Sun and predict when a spot will appear on the visible face. Given the availability of real-time data, amateur astronomers have turned the SOHO satellite into the greatest instrument for the discovery of comets. Most of them fly close to the Sun and cannot be seen in any other way. More than 3,000 comets discovered so far prove the enormous interest of the mission for the general public. Ultimately, the SOHO mission has changed the way we look at the Sun. Now we know that our star is a very dynamic and variable object and that, due to the continuous emissions of charged solar wind particles, its influence goes much further than we imagined. Planets, and even distant comets and icy bodies beyond Pluto are immersed in a solar wind more and more rarefied the farther away we move from our star. Therefore, the entire solar system is embedded within the so-called heliosphere: an immense bubble of magnetised plasma that separates and protects us from interstellar space. Within this bubble, the physical conditions are dominated by the Sun’s magnetic field, dragged by the charged solar wind particles. Despite everything we already know about the Sun, it is not enough to fully understand how the heliosphere is created and controlled. In order to create a coherent image, a closer study of the Sun is necessary to discern the origin of the heliosphere particles and their relation with the field, and to study their evolution from inside the Sun to the most external layers. However, designing a mission to get close to the Sun involves an unprecedented technological challenge. The immense heat and variable flow of energetic solar particles that the spacecraft would have to withstand are difficult to overcome. The Solar Orbiter team has been working to face these challenges. The ESA Solar Orbiter will be launched into space in 2020 and it will get very close to our star. The spacecraft, weighing about 1,800 kg, will be sent into space using a NASA launcher and will constantly point to the Sun. In order to protect the delicate scientific instrumentation from overheating, the Solar Orbiter has a heating shield with special windows to allow the observation of the on-board instruments. Thermal simulations show that the shield may reach a temperature of about 500 ºC, while part of the instrumentation works in controlled environments within temperature ranges of a few dozen degrees. In addition, the eccentricity of the Solar Orbiter will bring the satellite from the proximities of the Sun to nearly the distance of the Earth, generating huge variations in temperature, with values that can reach less than -150 ºC. We must acknowledge the ingenuity of the European engineers, who have succeeded in making the temperature gradient not a problem. In this image, a coronal mass ejection goes to the Earth. The Earth’s magnetic field will redirect the charged solar particles to the polar areas (the objects are not drawn to scale). 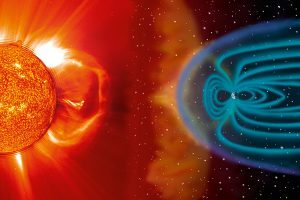 A high intensity magnetic storm can cause big problems in the satellites, in the electric network, on Internet or in maritim and aircraft navigation. [/caption]If we look its orbit around the Sun, we realise that the Solar Orbiter is very special. After three years travelling with various gravitational assists from the Earth and Venus to accelerate, the spacecraft will follow an elliptical orbit that will situate it in its closest point to the Sun, the perihelion, only 0.28 astronomical units away (42 million km), a distance lower than the one separating Mercury and the Sun. But since the mission also seeks to explore high-latitude zones, it will take advantage of Venus’ pushes in order to progressively leave the Earth’s orbital plane, the ecliptic. Over the following five years and by the end of the mission in 2027, its orbit will reach an inclination of 33º. This will provide a completely new perspective on our star: we will be able to see it almost from above. To achieve its scientific objectives, the Solar Orbiter is equipped with ten instruments. Four of these will make in situ measurements of the properties of solar particles in the interplanetary medium whereby the spacecraft travels, while the other six will observe phenomena in the solar atmosphere remotely. The combined use of data collected in situ and remotely will provide us a new heliospheric perspective never achieved before. It will be an unprecedented breakthrough because it will be possible to follow a phenomenon since it occurs in the photosphere. We will see its effects as they propagate through the chromosphere and the corona to the particles that are captured by the on board instruments. For example, a solar flare caused by a magnetic recombination in an active solar region that can be observed from the photosphere to the superior atmospheric layers would be captured first by the remote sensing instruments in visible light, ultraviolet and x-rays, while the accelerated electrons emitted will be observed on radio when leaving the Sun. Finally, the energy of the charged particles would be measured in situ when they reached the spacecraft. In this way, ten instruments can follow a solar phenomenon sequentially. But, in addition, since the Solar Orbiter will orbit the Sun in the same direction of its rotation, the relative speed of this rotation with respect to the solar structures will be effectively reduced. Therefore, for the first time it will be possible to observe the evolving structures on the solar and heliosphere’s surface during almost an entire solar rotation. The in situ observation instruments will make constant measurements throughout the mission. However, the remote observation instruments will be operative only during three ten-day periods in each orbit of the Solar Orbiter. They will be placed around the maximum and minimum heliolatitude, the points most separated from the ecliptic plane, and the perihelion. Pieter Zeeman discovered in 1896 that, in the presence of an intense magnetic field, the spectral lines produced by the interaction of light with a chemical element could split into sets of lines. The wavelength distance of this separation is proportional to the strength of the applied field, making it an essential tool for studying magnetic fields. In the graph, example of the Zeeman effect on the neutral iron line (Fe I) at 617.3 nm, observable in polarisation measurements. They are produced synthetically including a magnetic field inclined 40° with respect to the line of sight and with three different field strengths: black = 100 G, green = 800 G, red = 2000 G. On the left, the line intensity (I/Ic) is shown. In the black and green cases no separation of the line can be observed, while in the red case the three components of the triplet are already clearly identified and the field intensity can be estimated. However, in circular polarisation measurements (right, V/Ic), the green case already presents amplitudes sufficiently large, so the magnetic field can be obtained. The moments when it is closest to the Sun are, of course, those of major scientific interest but also the most dangerous for the mission. The heat shield will protect the payload of the spacecraft in an effective way during this period, but some elements such as the solar panels and the high-gain antenna will be compromised during the event. The solar panels are prepared to rotate to offer the smallest surface possible to the Sun, whilst the antenna will fold up under the spacecraft. Therefore, during this critical period, the mission will not be able to communicate with the Earth. It will have to work in an autonomous way and save all the collected data until they can be forwarded to ground control. This requires the use and preparation of demanding data processing and compression techniques on board – some applied autonomously for the first time. 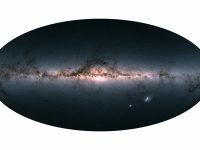 Nine out of the ten instruments have been designed and built in European research centres, one of them led and another one co-led by Spanish teams: the Energetic Particle Detector (EDP) and the Polarimetric and Helioseismic Imager (SO/PHI). The EDP, an instrument for in situ measurements, is led by the University of Alcalá de Henares, and its purpose will be to study the composition, distribution, and cadence of energetic and suprathermal particles (with energies higher than those of the solar winds) of the heliosphere. SO/PHI, one of the remote observation instruments, is the result of a collaboration between institutions mainly from Germany, Spain and France. The Astrophysics Institute of Andalusia (IAA/CSIC) is a co-PI institution of SO/PHI and leads a consortium of Spanish institutions, among which we find the University of Valencia, the Astrophysics Institute of the Canary Islands (IAC), the National Institute of Aerospace Technology (INTA), the University of Barcelona and the Polytechnic University of Madrid. Its mission is, first, to obtain images of the Sun in the visible spectrum and make accurate measurements of line of sight plasma velocities in the photosphere. With these data, the dynamics of solar structures will be determined and, using helioseismology techniques, we will delve deeper in our understanding of the interior of the Sun. But, above all, SO/PHI will allow us to observe, both in high resolution and in the entire solar disk, the magnetic field vector, which is the actual link between the different layers of the solar atmosphere and heliosphere. In order to obtain the magnetic field of the solar structures, we need to use the light polarization phenomenon, a property related to the direction of its oscillation. In fact, it was the French physicist Étienne-Louis Malus who, after observing the light reflected in the windows of the Luxembourg Palace in Paris in 1808, offered a correct interpretation of this phenomenon, previously studied by Newton and Huygens. Polarisation is a property of light used in many fields (geology, chemistry, mechanics…) and with many applications (cell phone screens, sunglasses, 3D cinema…). Its use in astronomy, combined with the Zeeman effect, has been constant since Hale’s studies in 1908, and it has been applied to solar physics since the 1950s. The Dutch physicist Pieter Zeeman observed in 1896 that, in the presence of an intense magnetic field, the spectral lines produced by the light’s interaction with a chemical element could be split in sets of lines; this is due to the fact that the field splits the atomic levels of chemical elements into sublevels, allowing the emergence of more spectral lines than the original. The wavelength distance of this separation is proportional to the intensity of the applied field, which provides an essential tool for studying magnetic fields. However, depending on the field and the environment, the lines might be divided and still not be clearly distinguishable. But spectral lines affected by the Zeeman effect are polarised differently, so the combination of polarisation with this effect allows the investigation of fields, even if they are not quite intense. This is the reason behind physics’ enormous interest for the polarisation of light coming from solar magnetic structures in recent years (Del Toro Iniesta, 2003). A good optical system consisting in a telescope, a spectroscope, and an element formed by polarisers and retarders to analyse light’s polarisation would help to determine the magnetic field vector, in intensity and direction, so we can, so to say, see a 3D representation of solar activity after complex information processing. SO/PHI is basically a sophisticated spectropolarimeter that can measure all the spatial components of magnetic fields and radial velocities using Zeeman and Doppler effects, respectively, with the spectroscopic line of neutral iron (Fe I) at 617,3 nm. The optical part is completed by two telescopes of different aperture that will allow to obtain high resolution images of solar structures with 100-km resolutions or images of the entire Sun with resolutions of about 700 km, both when closest to our star. For the polarimetric analysis, each of these telescopes have a polarimetry unit, designed in Spain and composed by two liquid crystal retarders and a linear polariser. 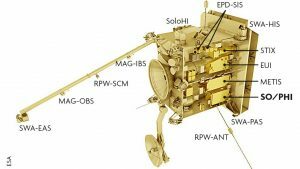 This technology will fly to space for the first time with the SO/PHI instrument (Solanki et al., 2015). SO/PHI’s technology draws heritage from IMaX (Imaging Magnetograph eXperiment), which was completely designed and built by a consortium of Spanish universities and research centres like the one working in SO/PHI. 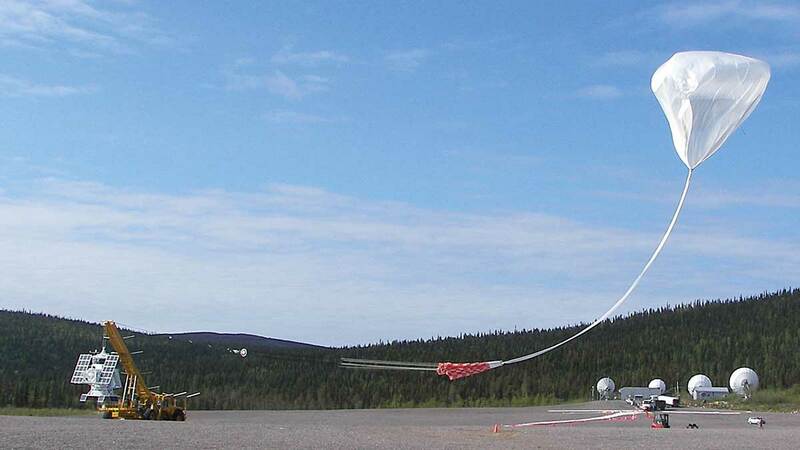 The IMaX instrument, led by the IAC, is part of the solar observatory Sunrise, which took off up to the stratosphere in a balloon, for a few days of the Artic summer in 2009 and 2013. This mission is a collaboration between Germany, Spain, and the USA. With a one-meter telescope aperture, the two Sunrise flights obtained a good series of photospheric and chromospheric images with unprecedented spatial and temporal resolution; partly as a result of the stratospheric flight, which allows us to observe free of most of the atmosphere and its perturbations, as well as being able to receive light from ultraviolet bands to observe the chromosphere. But, in addition to all the science obtained and the related publications, Sunrise has served as a platform to test spatial technologies at around 36 km high and at a reasonable cost. This observatory is expected to be launched in 2020, with new instrumentation and with the collaboration of Japan. SO/PHI will attempt to answer a great number of crucial problems in solar physics, some of them only with its own data and others in combination with data from the rest of the instruments on board. Thus, SO/PHI will give us the first map of magnetic fields of the Sun’s polar regions, because it has a vantage observing position from outside the ecliptic. Moreover, it will take advantage of the Sun’s slowed apparent rotation to track solar magnetic elements near-radially, preventing the bothersome distortion in the measurements of plasma speed. Some missions before the Solar Orbiter (such as Ulysses, STEREO…) have shared some of its characteristics, but this will be the first in combining images out of the ecliptic with the possibility to generate stereographic images (in collaboration with spatial and terrestrial observatories, such as Solar Dynamics Observatory or SOHO) thanks to its out of Sun-Earth line of sight, and its remote and in situ instrument set. This is what makes the mission unique. In 2018, NASA will also send to space the solar observatory Solar Probe Plus, which will get deadly close to the Sun, up to only 6.5 million kilometres away. This mission, however, will mainly carry instruments for in situ observation, complemented with remote images of the corona and the heliosphere. We will have to wait for the Solar Orbiter’s necessary magnetic information in order to interpret the data from the American probe. Several exciting years lie ahead of us until the start of mission operations and receiving the first results. And just as SOHO gave us a new Sun, the Solar Orbiter, which will travel to the gates of the Sun’s inferno, will allow us to take a giant step in the knowledge of our star. Del Toro Iniesta, J. C. (2003). Introduction to spectropolarimetry. Cambridge: Cambridge University Press. Solar Physics PhD. Researcher at the Astronomy and Astrophysics Department of the University of Valencia. Collaborator of the IMaX (Imaging Magnetograph eXperiment) and SO/PHI (Solar Orbiter Polarimetric and Helioseismic Imager) projects. Telecommunications engineer. Researcher at the Astronomy & Space Science Group (Image Processing Laboratory) of the University of Valencia. Project manager of research projects on space payload development (e.g. IMaX and SO/PHI instruments). Solar Physics PhD. Researcher at the Astronomy & Space Science Group (Image Processing Laboratory) of the University of Valencia. Co-Investigator of IMaX (Imaging Magnetograph eXperiment) and SO/PHI (Solar Orbiter Polarimetric and Helioseismic Imager) projects. 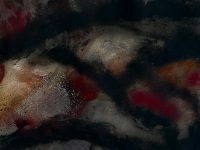 Why do wet materials become darker? Mètode 93. Online only. Spring 2017.